Offered for sale with no upward chain is this tidy mid mews situated in a Cul-de-Sac location. 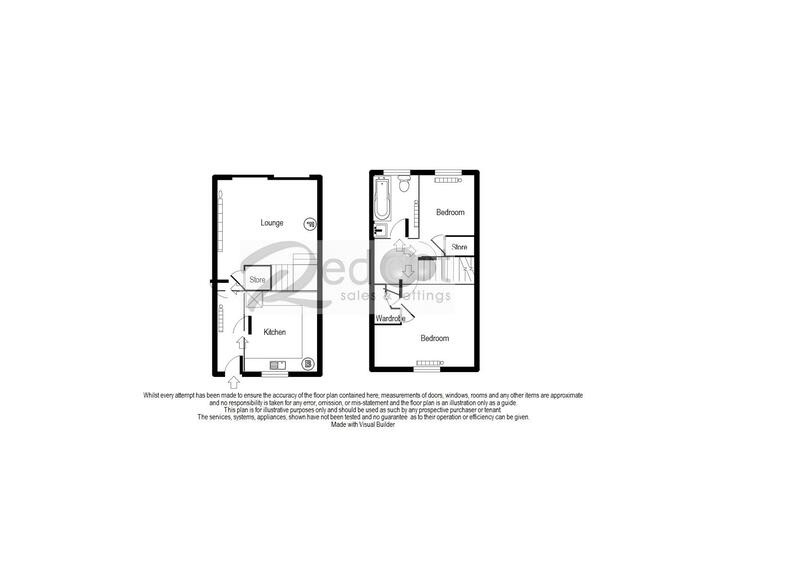 The accommodation comprises; hallway, fitted kitchen, lounge with patio doors overlooking the rear garden. To the first floor there are two bedrooms and bathroom. Externally there are front and rear gardens and allocated parking. Sandbach is a historical market town located within the South of Cheshire. Quaint shops and half-timbered Tudor pubs decorate the town’s classic Cobbles which also play host to the bustling market on Thursdays. With a strong community spirit, many local amenities and fantastic eateries, Sandbach is the perfect location to buy your next property. It also provides excellent commuting links, with the centre itself sat only one mile from junction 17 of the M6 motorway and only a short drive to Sandbach train station, with quick and easy commuting links to Manchester, Crewe and Stoke-on-Trent. Education is also a big incentive to families moving to the area, with local schools beholding an excellent reputation and achieving great results. From our office proceed to the roundabout on Crewe Road and take the third exit on to Middlewich Road continue for approximately ¾ mile and turn left in to School Lane and Randle Bennet Close is first left, the property is on the right-hand side. Gardens Front and Rear Two Allocated Parking Spaces.